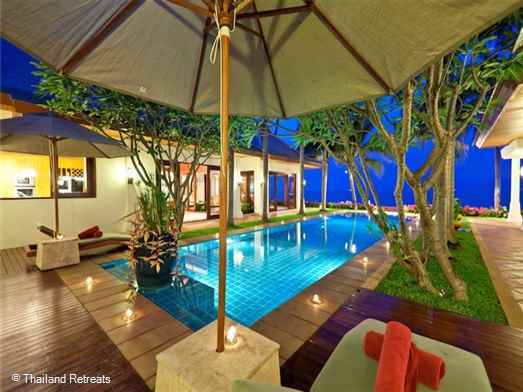 One of our exclusive Samui beachfront villas with easy access to popular tourist spots and 5 star service . Free use of kayaks. Rates for the use of 3,4 and 5 bedroom use certain seasons. 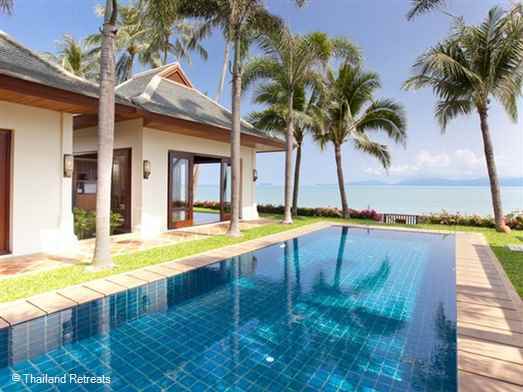 Villa Gardenia is a luxury beachfront property located on beautiful Maenam beach on the north coast of Koh Samui considered one of the best beaches in South East. Designed to assure total privacy, the villa is arranged in separate pavilions, framing the centerpiece ocean-facing swimming pool. 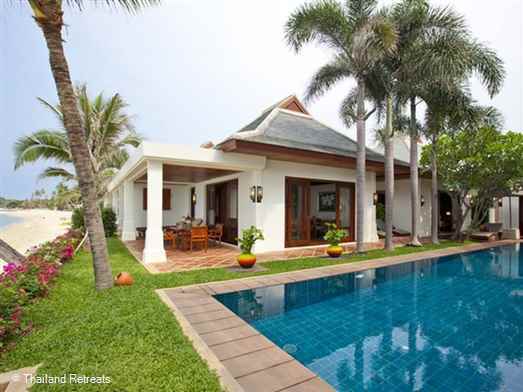 Past the impressive entrance with an ornamental pond and waterfall, the living pavilion features vaulted ceilings and comfortable lounge, which opens onto the pool and sea views. 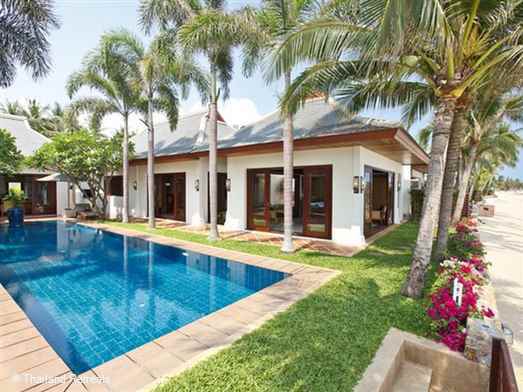 On one side of the pool, a pavilion comprises two twin bedrooms, each with a TV and en-suite bathroom with shower. 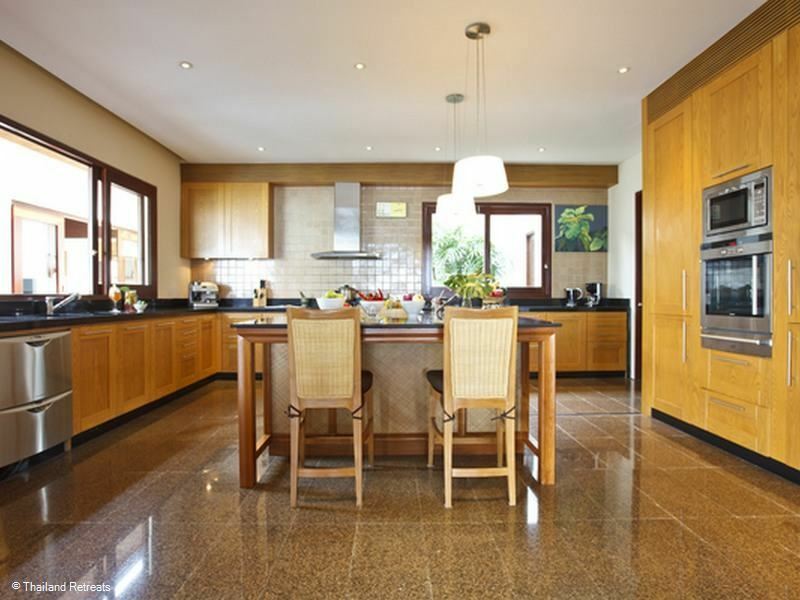 An adjacent garden with an outdoor bathroom leads to the next pavilion, which houses the dining room and fully-equipped kitchen. The kitchen features an island breakfast bar, and can be closed off by foldaway doors. 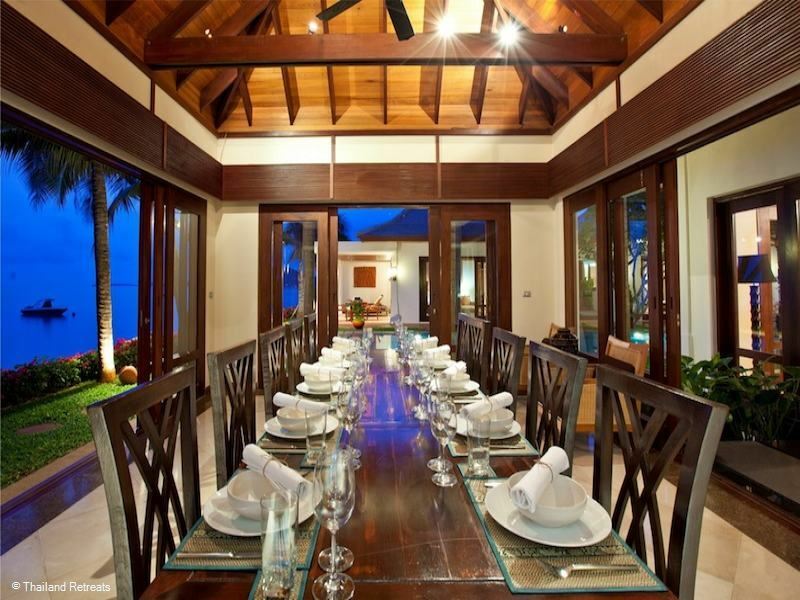 The dining room has a vaulted ceiling, and paneled walls, and is separated by a water feature from an additional al-fresco dining area. On the opposite side of the pool is a pavilion containing 3 en-suite double bedrooms. The first bedroom is separated by a garden from the next bedroom, which has an indoor-outdoor shower room. 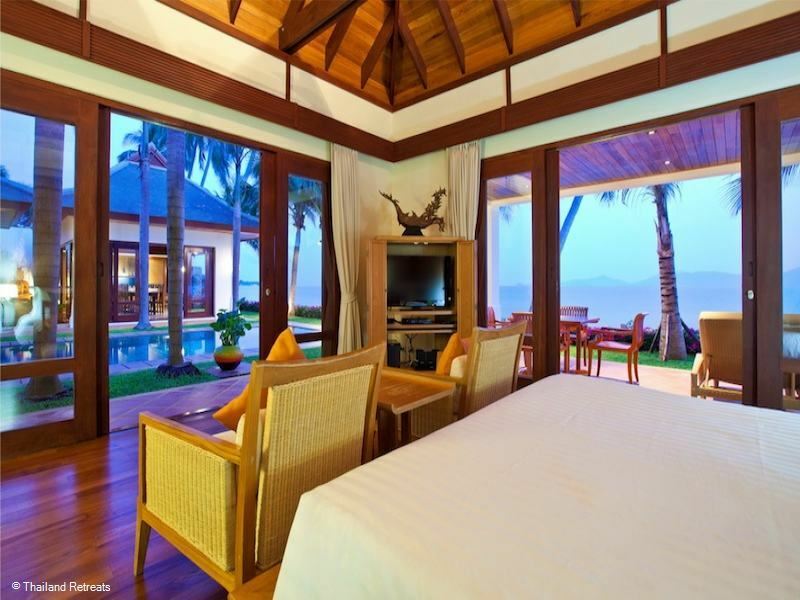 An alcove with sun-loungers leads to the beachfront master bedroom. 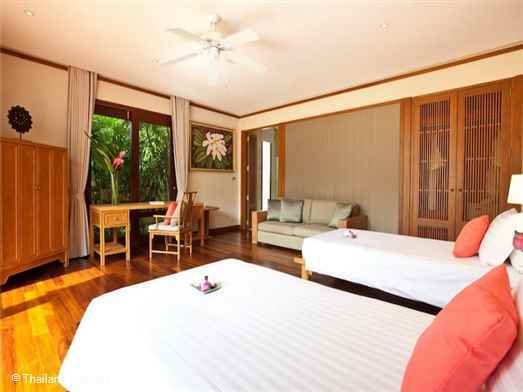 The master suite has a double bed, lounge area, a TV concealed in an armoire, and a walk-in dressing area. 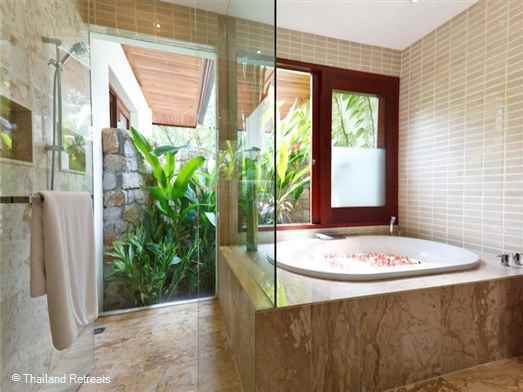 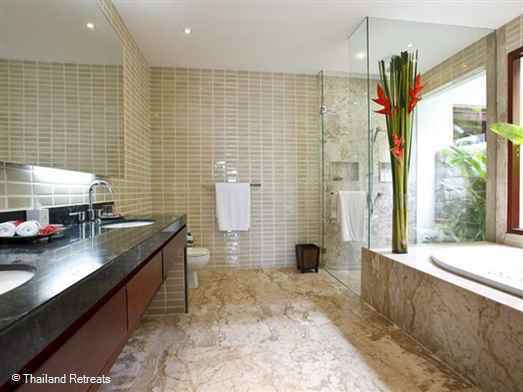 The en-suite bathroom includes a shower and a bathtub. 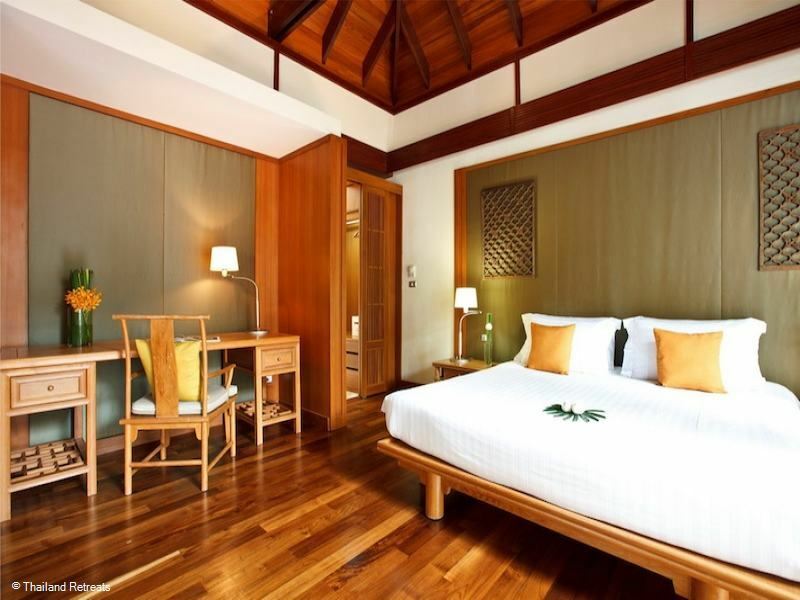 The master suite opens on to a verandah with wooden furniture and a massage bed. The pool is surrounded by a grass border, and fragrant frangipani trees. A private gated entrance leads to the beach. 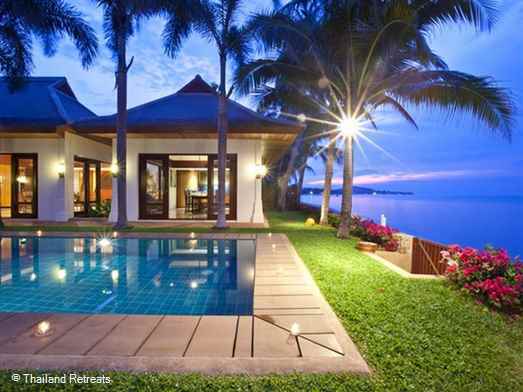 Maenam is a working village with a small choice of restaurants and sports bars but very little tourist shopping.An International Championship golf course with viewpoint restaurant is located in the hills and the beautiful 5km long sandy quiet beach is bordered by a mix of rustic Thai bungalow restaurants, a few hotels and some beautiful luxury villas. 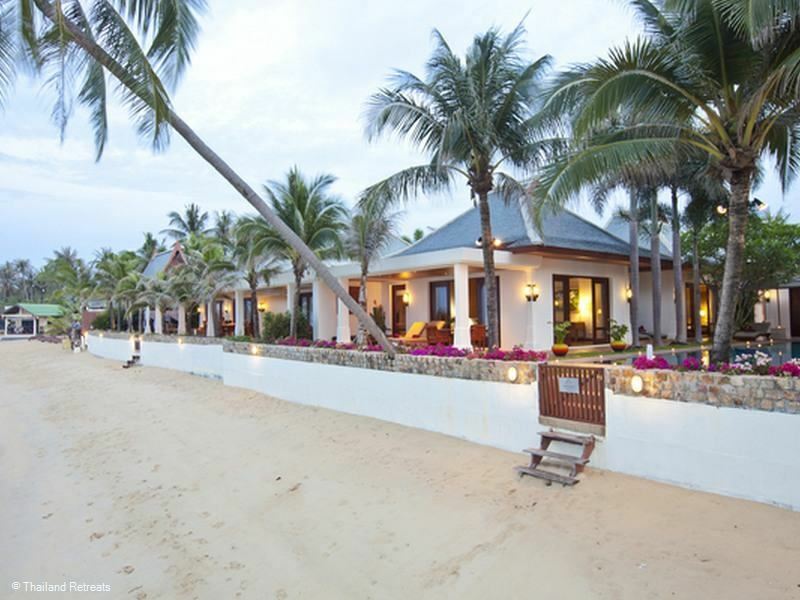 Activities include a watersports centre and a kiddies waterpark can also be found just outside the village. 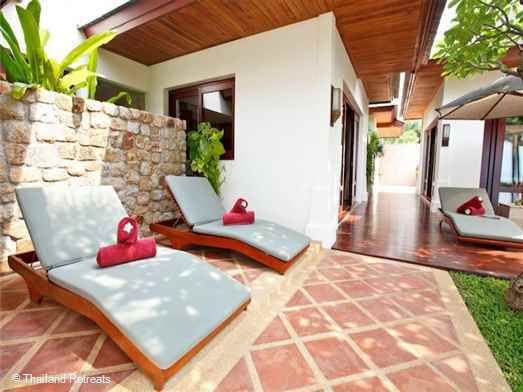 The area is less than 5 minutes to Bophut's Fisherman's village and 20 minutes to lively Chaweng.